Hey all.. Hope you had a great Diwali:) I had a good Diwali and an awesome Halloween too:)..Before Diwali, I was busy preparing the delicacies.. After Diwali, it was time to start preparing for halloween and because of all this my poor blog remained un attended:(. So here I am back with a recipe that is totally fool proof. 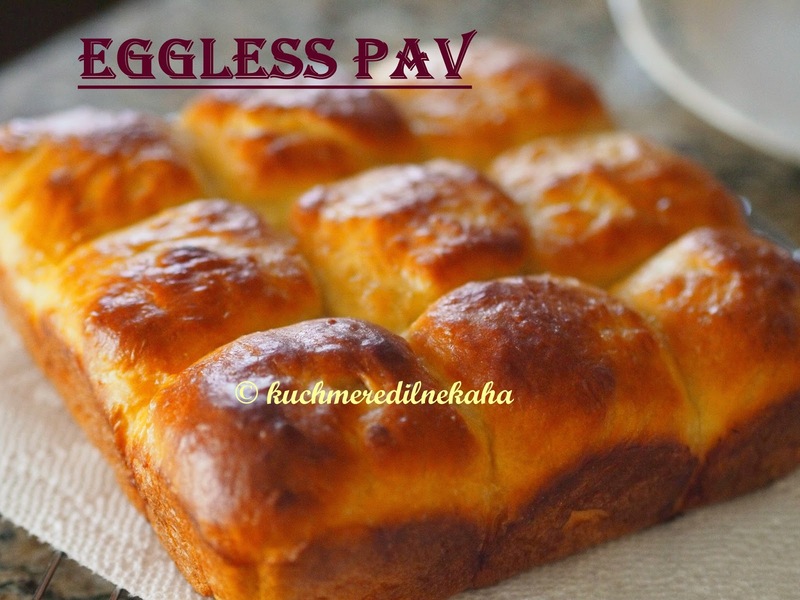 Yes a fool proof recipe for PAV. 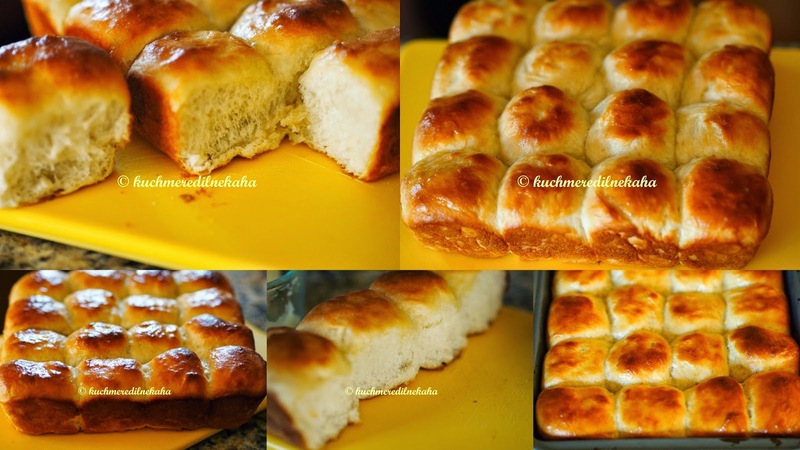 I have tried this recipe so many times by now and never ever has it disappointed me. 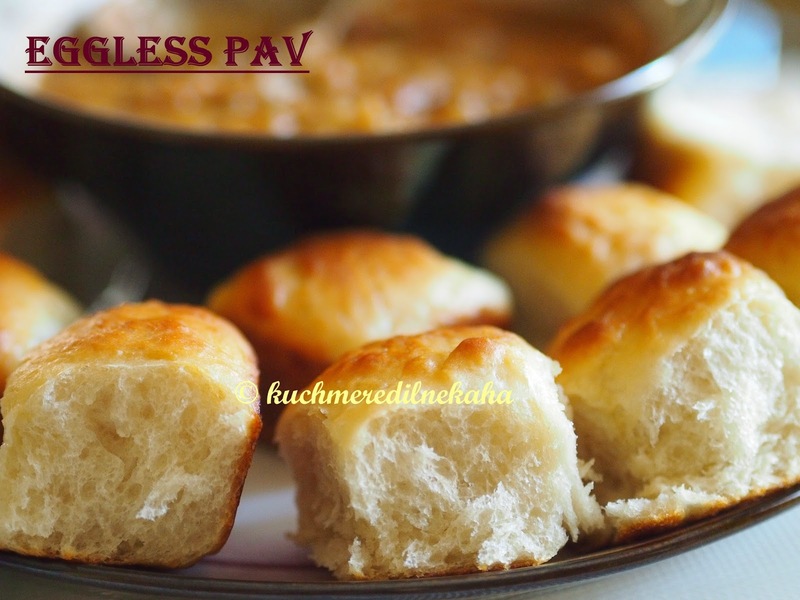 Enjoy this pav with batata vada as "vada pav", or serve it as "pav bhaaji" or serve it as "dabheli" or serve it with misal and usal. Note: As I have mentioned earlier, for perfect baking, you need to use correct quantities of ingredients. Approximations do not work. 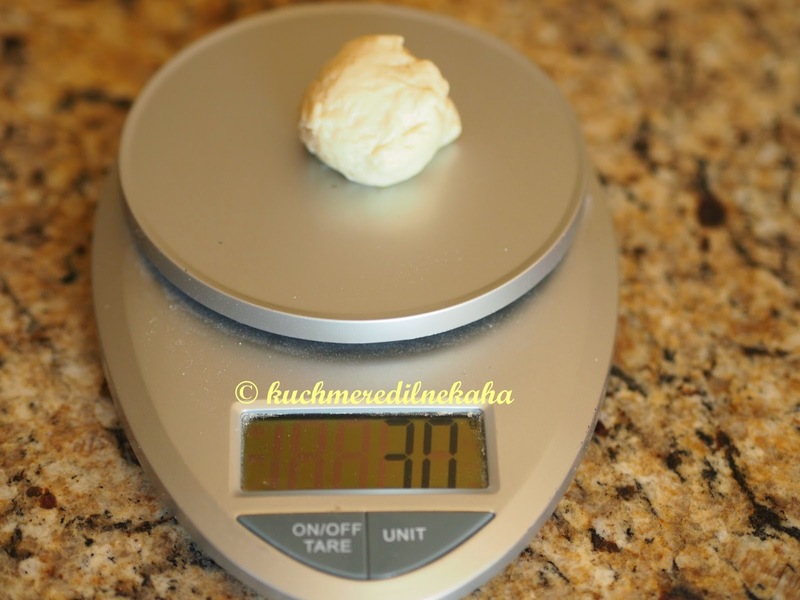 I use a small kitchen scale for this purpose. Warm the milk until it becomes luke warm ( I microwaved it for 45 seconds). Its important that milk is luke warm to touch. Now add the sugar and the yeast. Mix well and let it rest for 10 minutes. You should get a frothy mixture after 10 minutes. 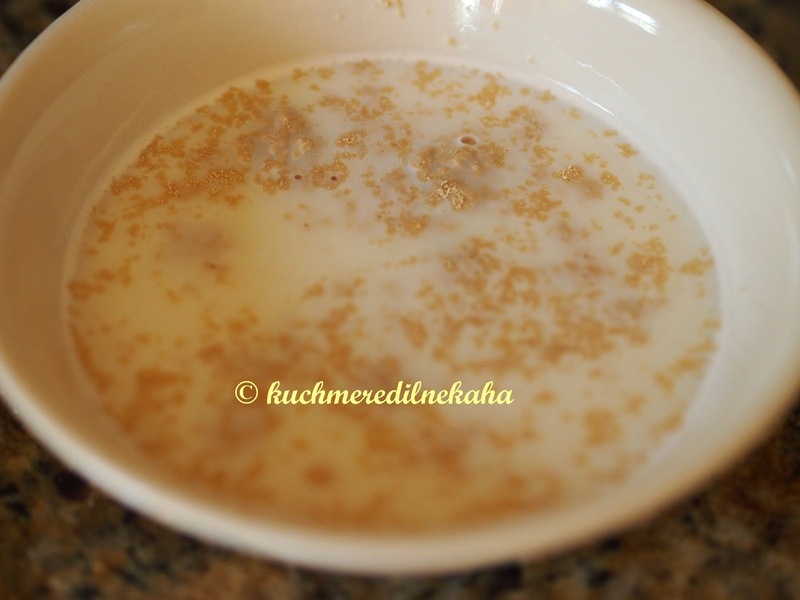 If you do not see a frothy mixture, discard it and start all over again. You should arrive at this frothy mixture . 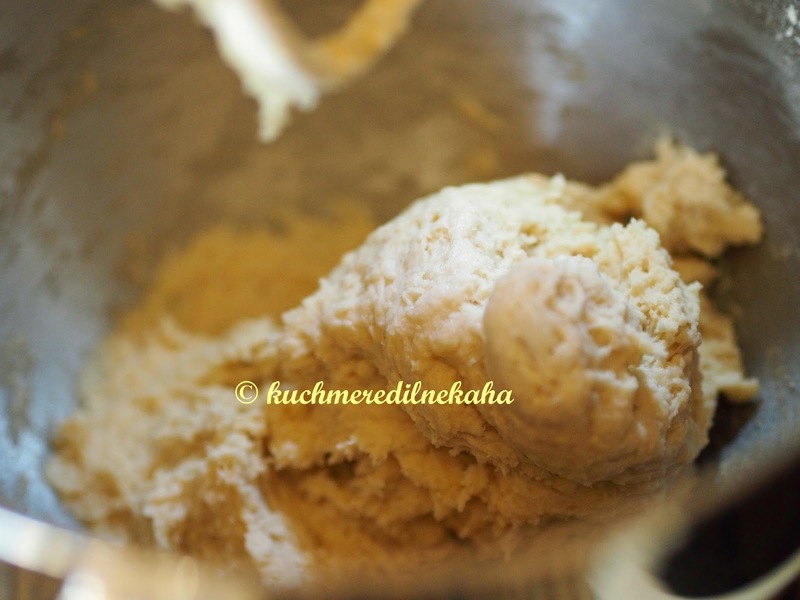 Take the dry ingredients (flour, salt, milk powder, salt) in a large bowl of the stand mixer (You can do the kneading process with hand , but it will need a good 15 minutes of kneading to arrive at the right form.). 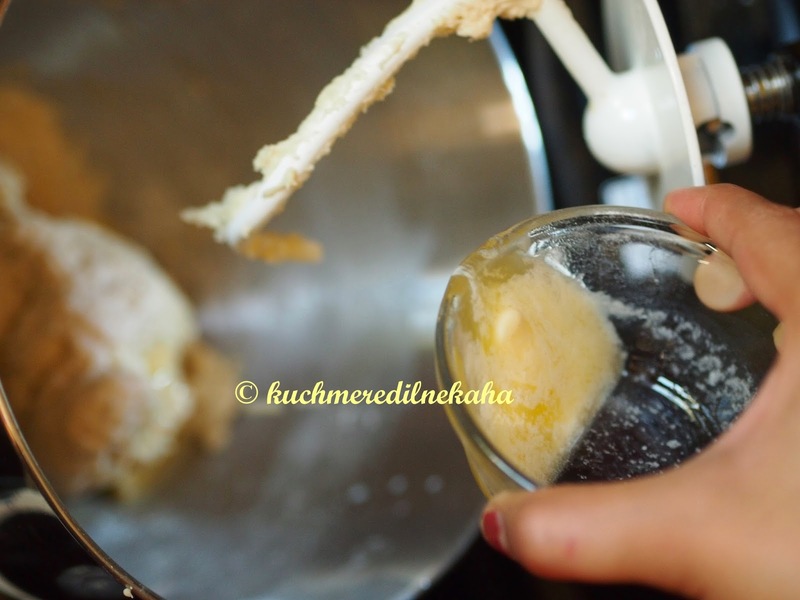 Start the stand mixer on low speed, just enough to mix all the dry ingredients well. 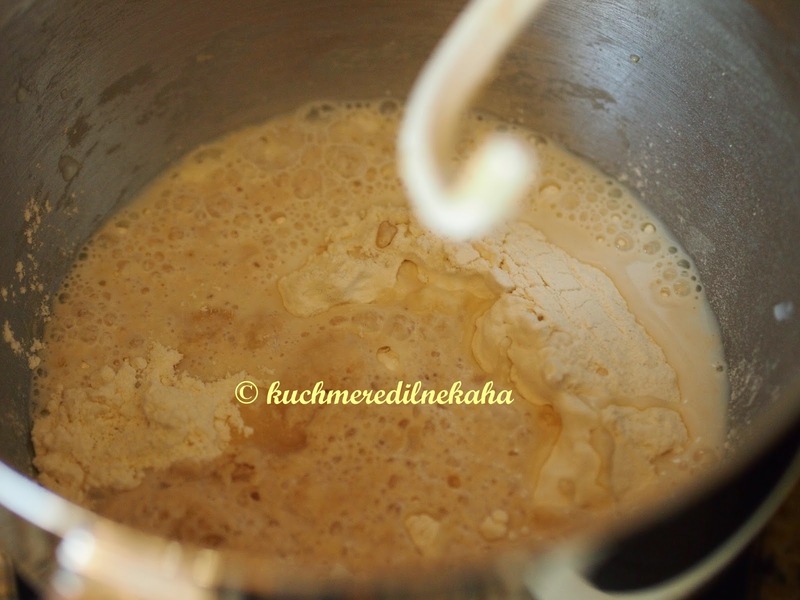 Make a well in the dry ingredient mixture and add the frothy liquid in the well. Turn on the stand mixer on medium. 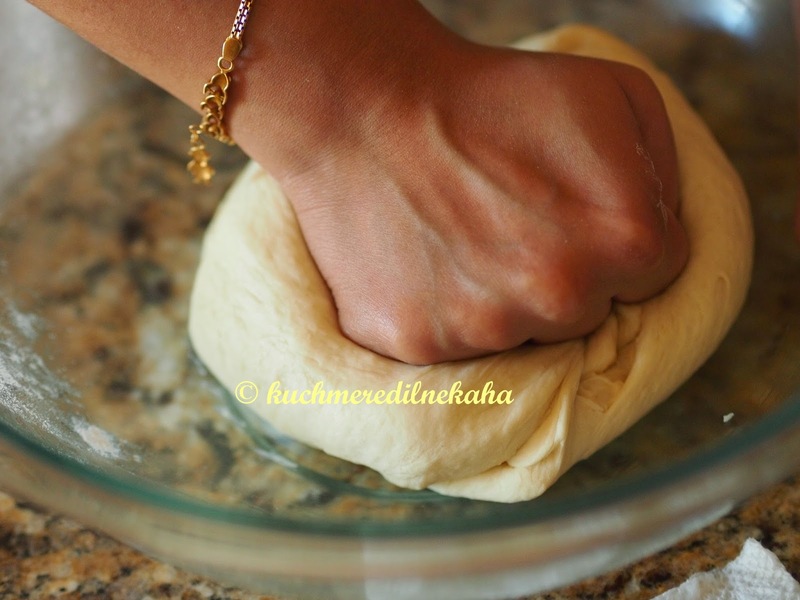 You will get a sticky dough. 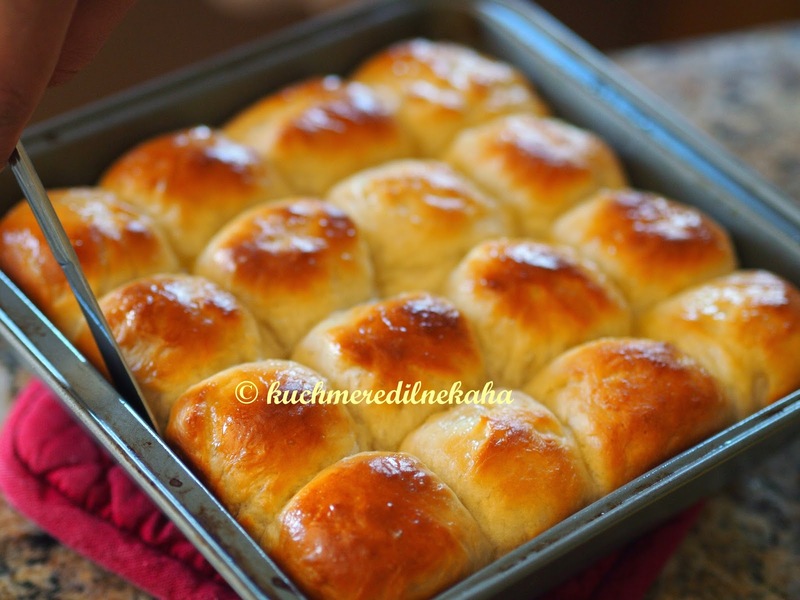 At this point, add the melted butter and turn on the machine again. 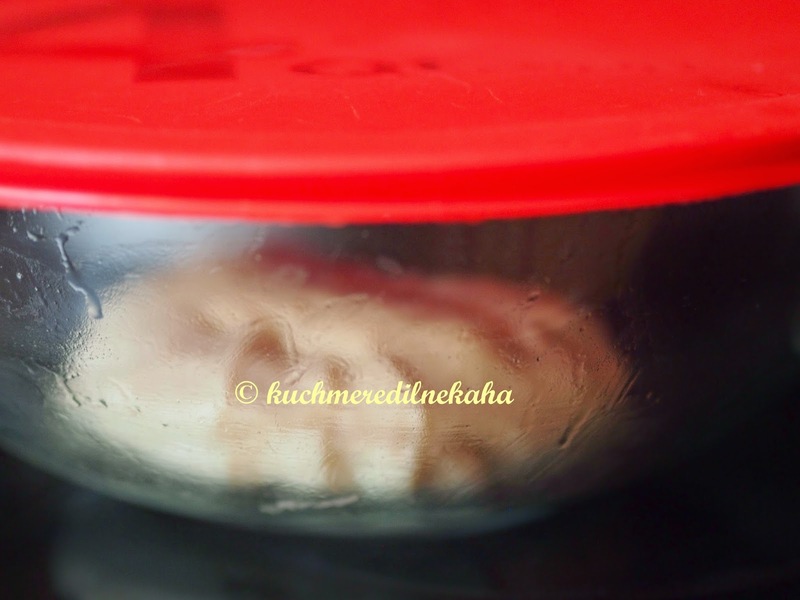 Let the machine run for 10 minutes, scrapping off the dough from the sides from time to time. 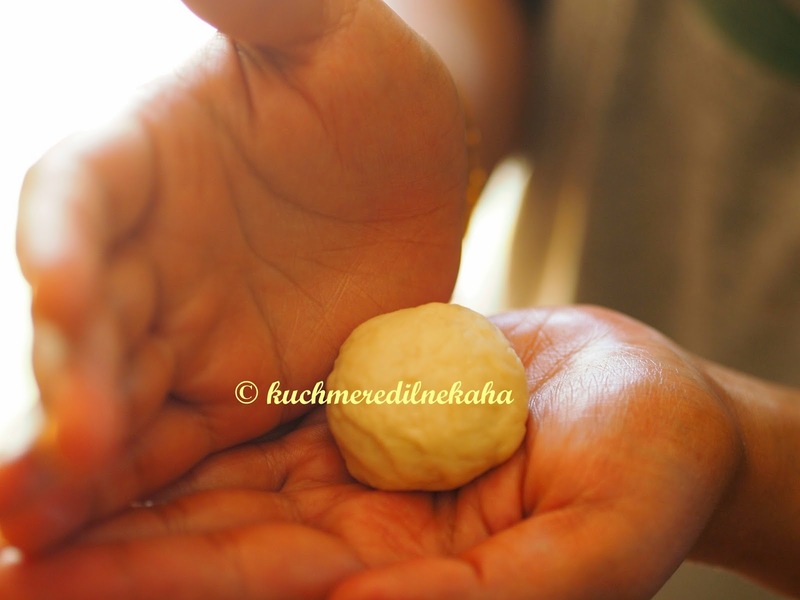 After 10 minutes of kneading on the stand mixer, give a final knead to the dough with your hand using couple tsp of oil. 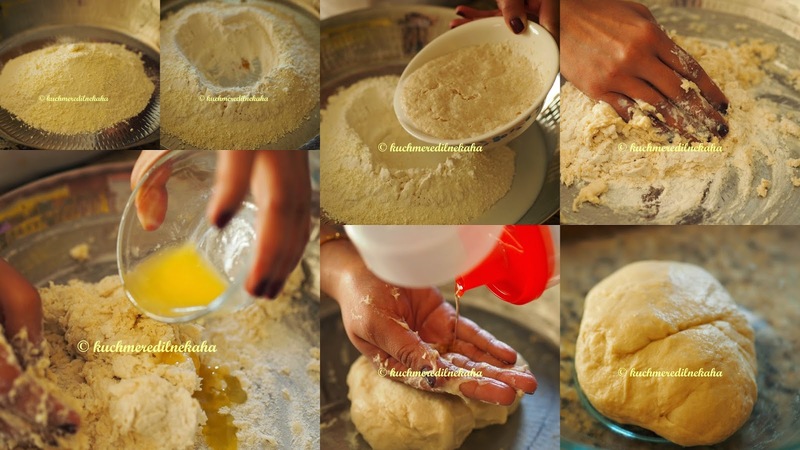 Give a final knead to the dough using couple tsp of oil. Note: Use just the amount of flour mentioned in the ingredient section. 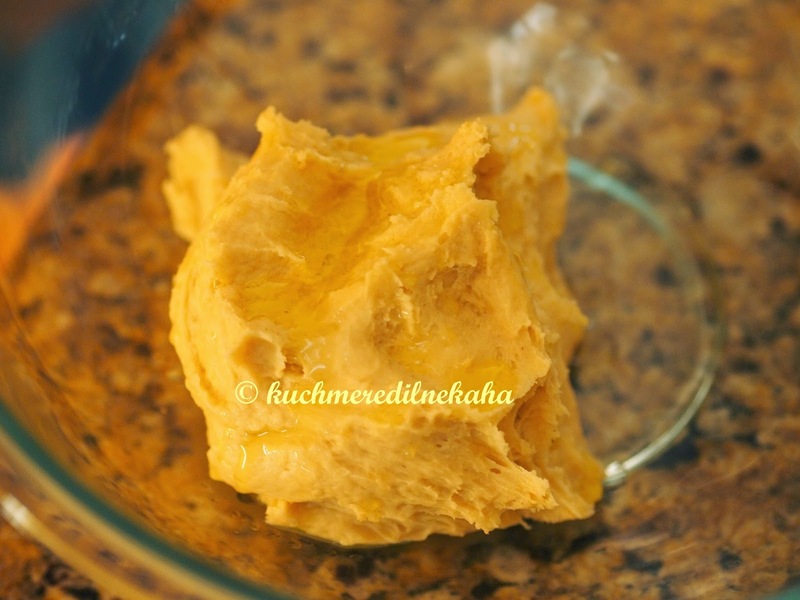 The dough might be sticky and thats how it needs to be. 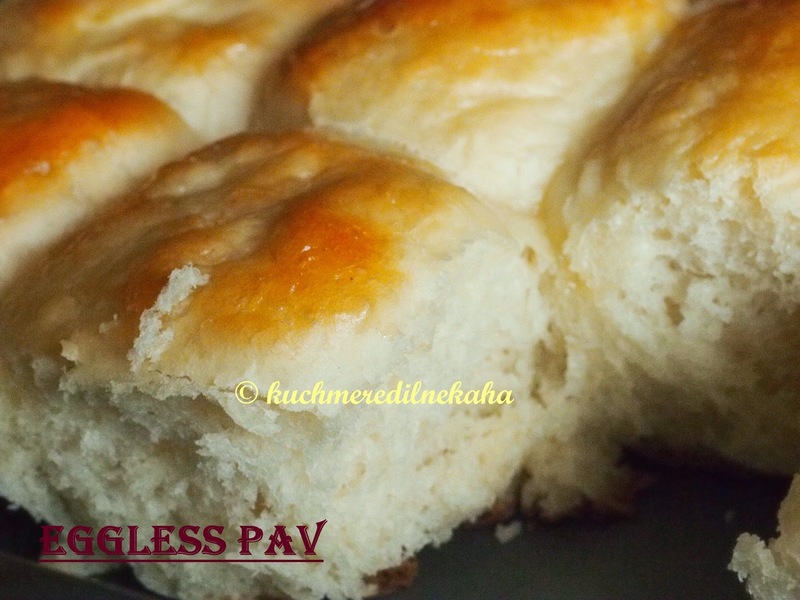 Adding extra flour will make the pav dense so do not add any extra flour at this point. 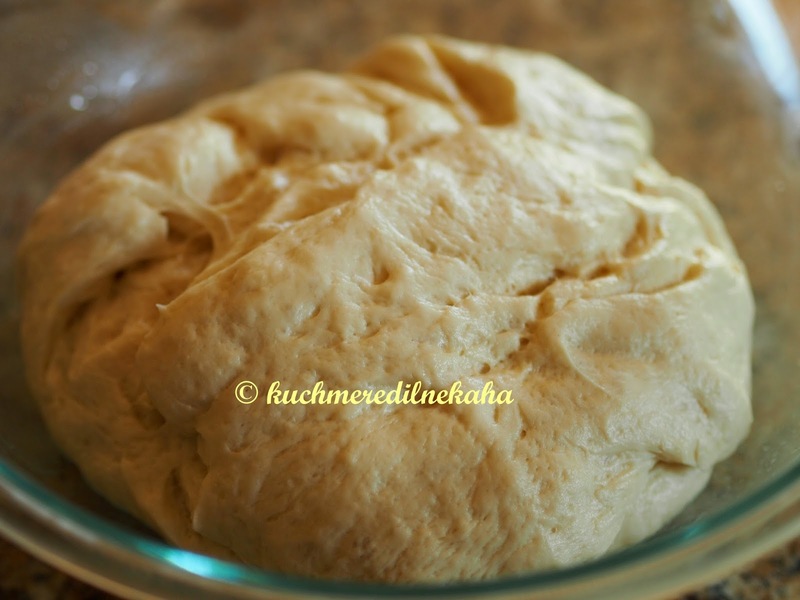 Let the dough now rest in a greased bowl. 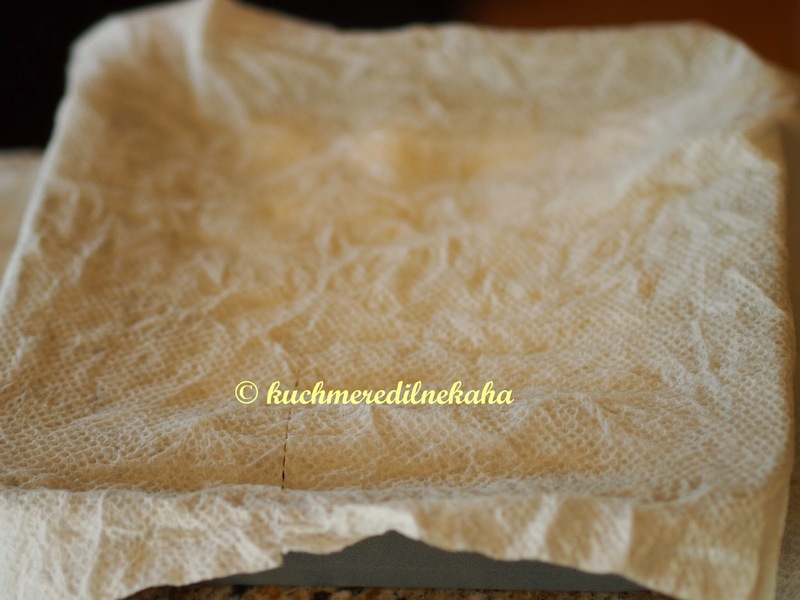 Plastic wrap this bowl or use a container with a lid .Keep it in a warm place to rise for 45 minutes, The dough will rise considerably (atleast should double up). 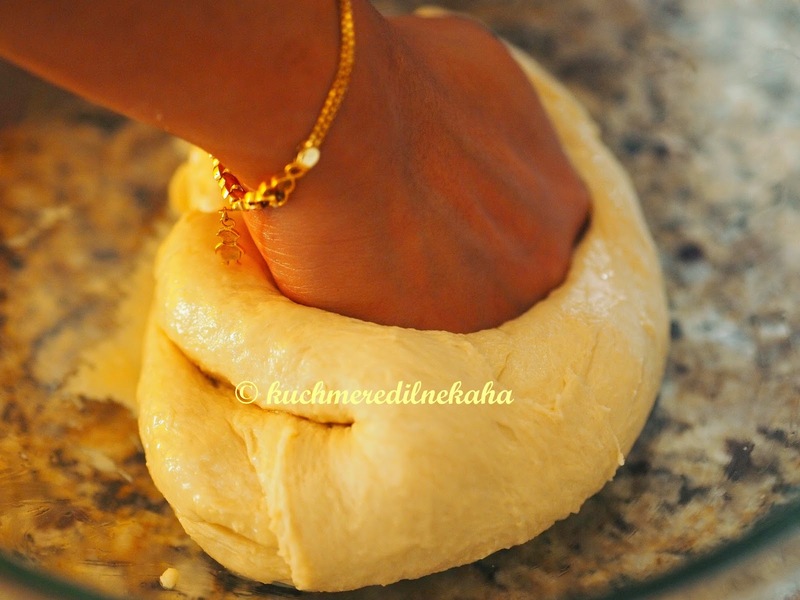 At this point, using some flour for dusting knead the dough again with your hands. 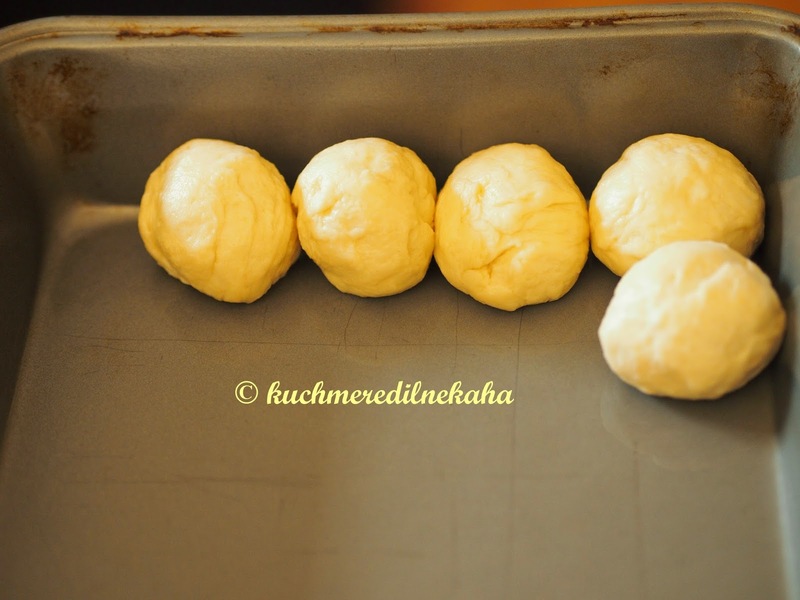 Now make balls from the dough and place them in a greased 8 inch baking tray (cake tin). If you want smaller pavs,make small balls approximately 30 gms each (using this as a base , you should arrive at 16 small balls yielding 16 small pavs). 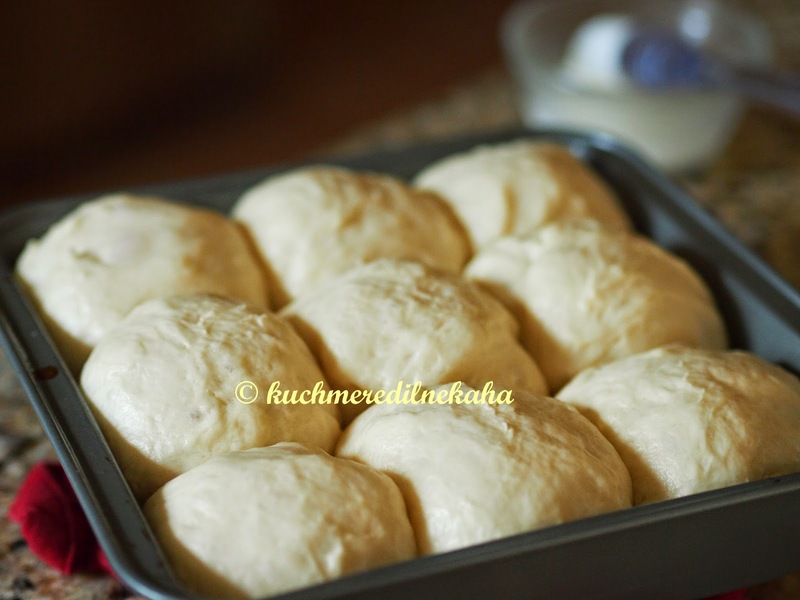 If you want larger pavs, divide the dough in to 9 balls which will hence yield 9 big pavs. Place them closer (if you keep them far away from each other , they will turn out flat). 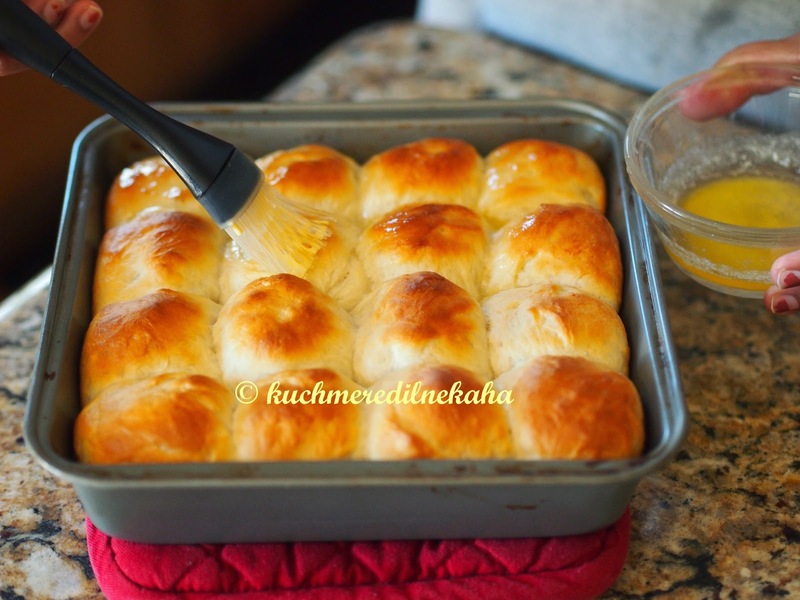 Arrange the balls and cover it with a damp or wet towel and set it aside to rise again for 45 minutes. After the 30 minute mark, remove the towel or else the towel will stick to the top of the balls. 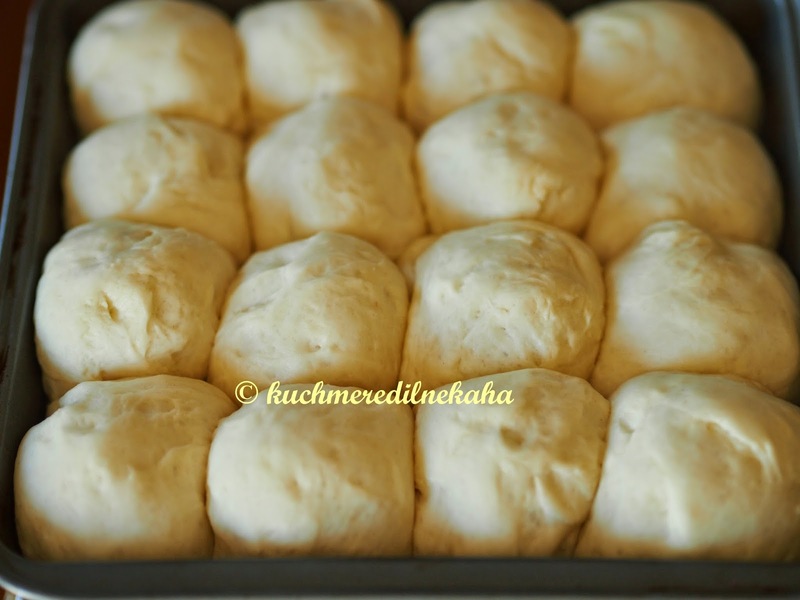 If you need larger pavs, divide the dough into 9 balls. 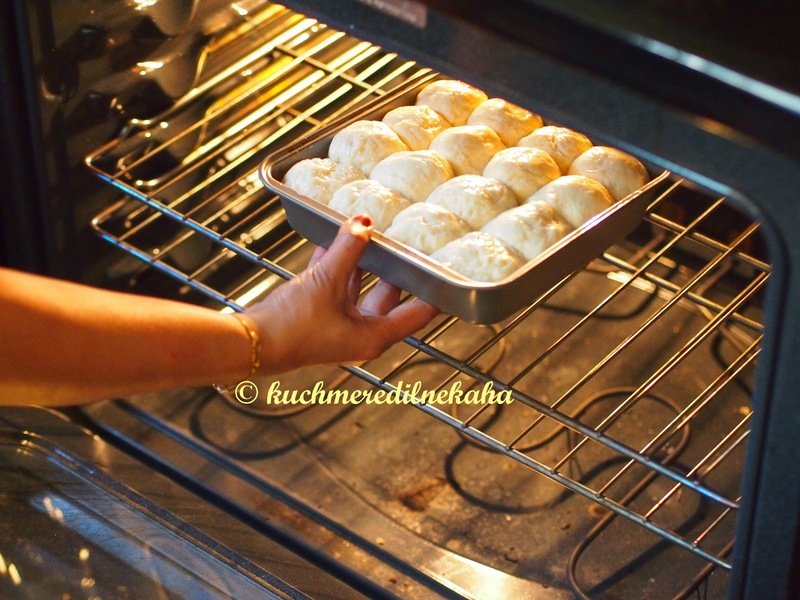 While the dough balls are rising, preheat the oven to 400 F (or 200 degrees in celsius). 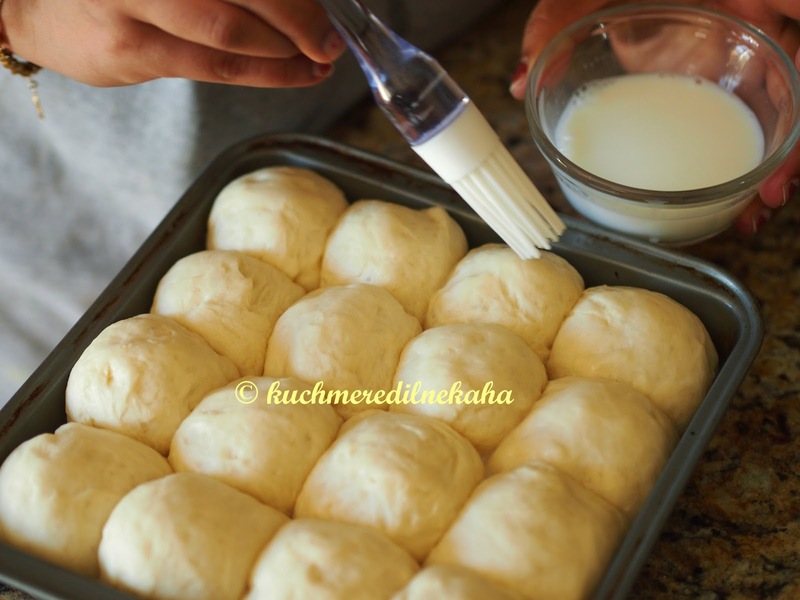 After the 45 minute time period is over, using a pastry brush, apply little milk gently on the surface of the balls. 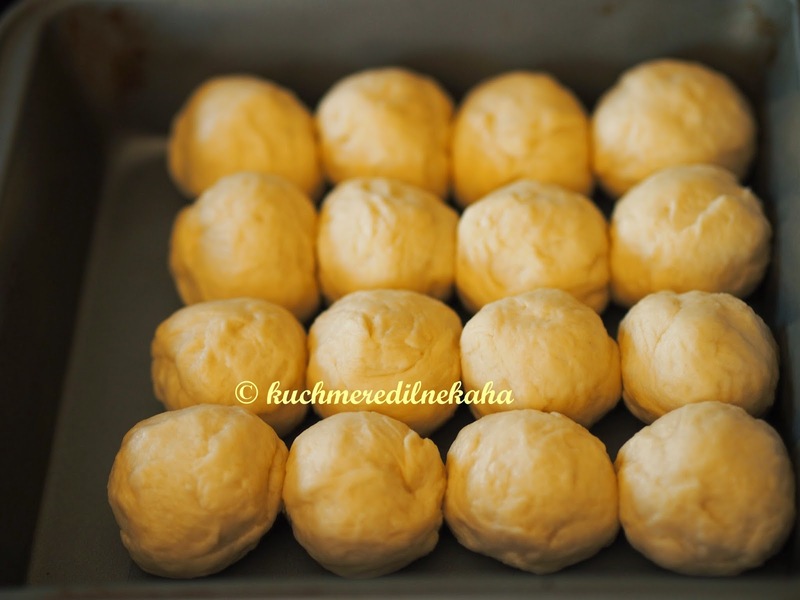 Bake these balls for 15 minutes or until the top surface of the pavs have turned brown. Use correct quantities of ingredients. Approximations do not work well in baking. 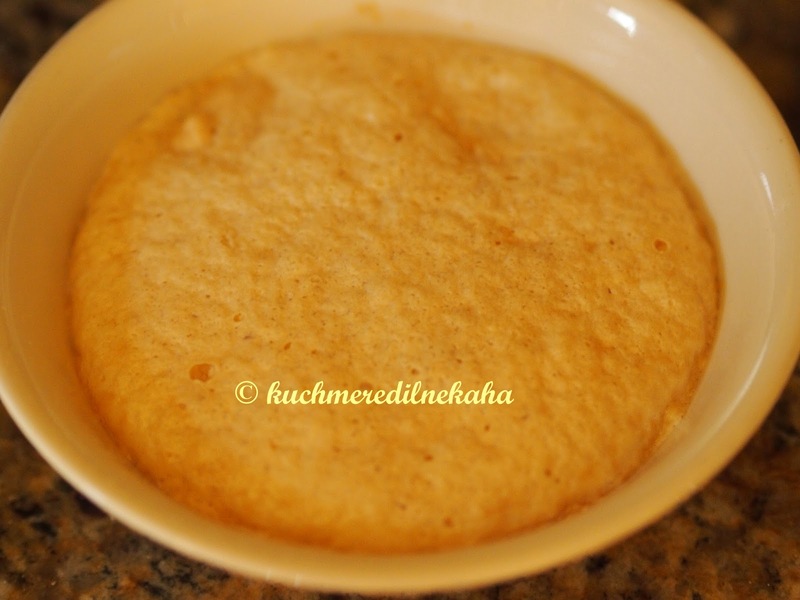 Shubha, Great recipes. Thank you for sharing all your rasoi secrets with us. 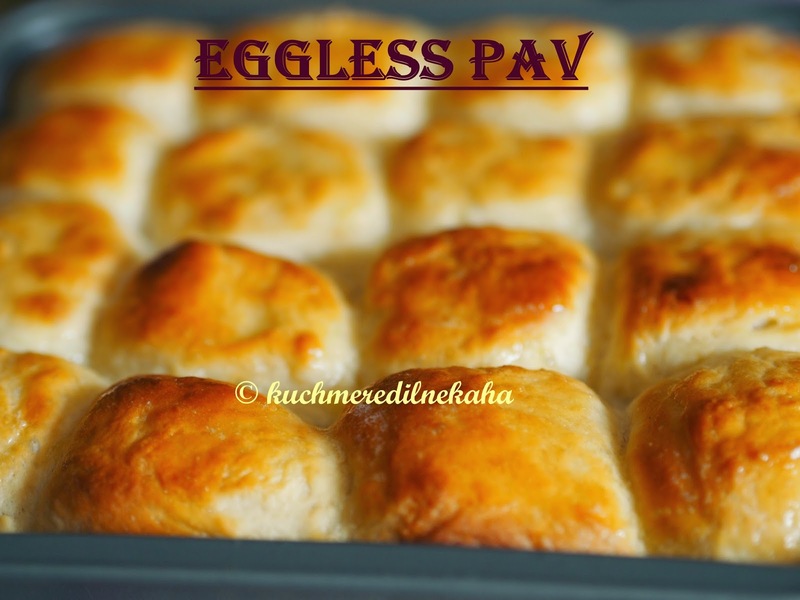 I am going to try these pav soon. I had some problems with sabudana khichadi and after reading your tips, it turns out very well now.